This is the Hi-Five brought to you by Case Coffee Roasters. Coffees from Guatemala and Papua New Guinea were carefully chosen and blended together to create this rustic and familiar blend. The Hi-Five brings rich, comforting chocolate sweetness paired with baking spices for a smooth, full bodied, and approachable cup. I usually like Case but really didn't care for this one. Very earthy and not in a good way. Tasted cheap. Tasted bitter and stale from what I recall. Liked this a lot. Was an enjoyable everyday coffee. Definitely taste the spices in this one. Suits fall well. A little more sweetness than chocolate, earthy. 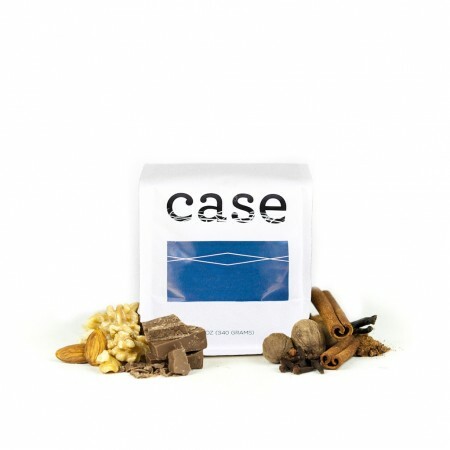 Nice, smooth coffee with a deep, slightly rich, taste with a note of dark chocolate. It’s not acidic or particularly earthy. I could drink this all day. My wife prefers light roasts, and I lean to darks, and this mellow blend was perfect for both of us. Loved it! My type of brew! I brew using V-60, really enjoyed the overall flavor of it. True the description, it is chocolately and full bodied. I’t’s nice easy blended coffee drinking. Might be a little better for cooler mornings. When it cools off, this coffee definitely has a mild chocolate finish. Good as a hot brew but not great as a cold brew, notes of chocolate and other flavors are hard to identify. This is a really nice wintertime coffee. Heavy body, bold flavor, comforting. It's a bit rough around the edges -- which may be a good thing. I recommend a slightly coarser grind or it can get a touch bitter. Overall a very good cup.